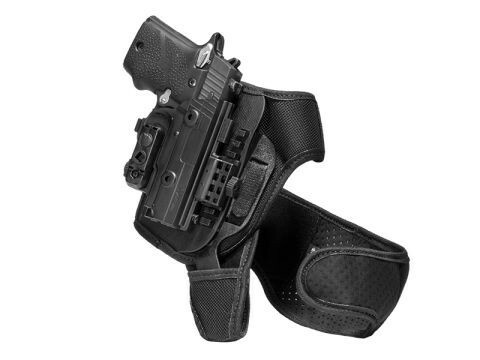 If you want deeper concealment or to carry the XD-E as a backup gun, the ShapeShift Springfield XD-E Ankle Holster will conceal and carry deeply, securely and comfortably. You won't have the same issues that you've likely found with other ankle holster designs. 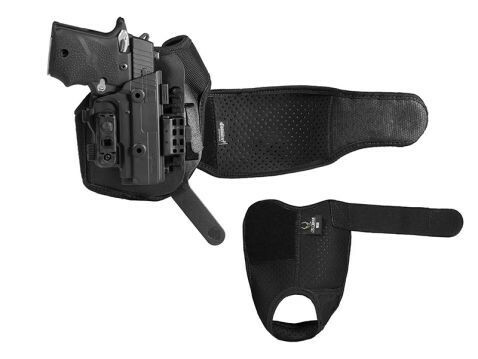 Sick of the anonymous fit of "universal holsters"? This ankle holster for Springfield XD-E pistols is custom-molded, fitting perfectly right out of the box with no need for break-in time. Retention is customizable, so you can dial in the exact setting that you prefer and with no need for tools. 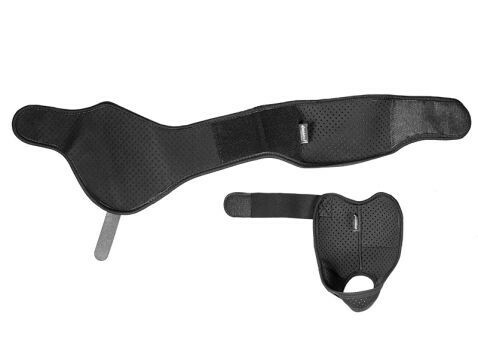 Don't like leather or hard nylon web creating hotspots and chafing as you wear the ankle holster? 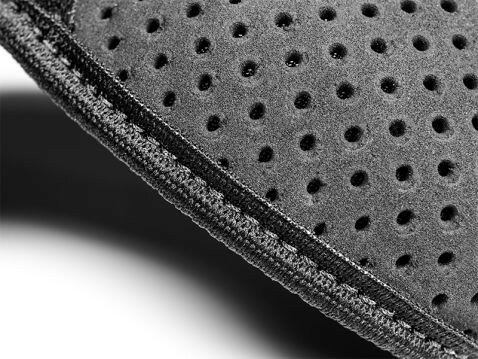 Our strapping is padded with CoolVent neoprene, a perforated neoprene fabric that cushions as you wear it while wicking away moisture and breathing against the skin for greater comfort. No more will you have to wear wool socks in the summertime to keep from getting rubbed raw by your ankle gun. 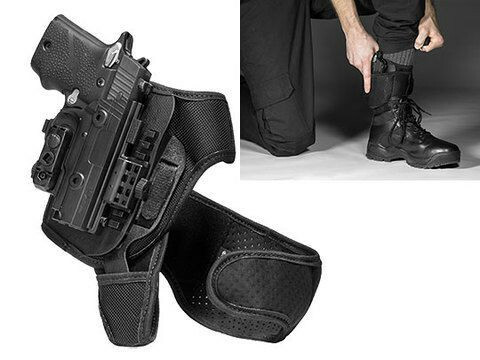 You can also expect a much more secure carry from this XD-E ankle holster. Ours is a two-piece design, with a heel strap combined with an ankle wrap. After securing the heel strap, the ankle wrap attaches to it via a durable polymer insert, which gives you both vertical and horizontal support. No more flapping up and down while you're walking. 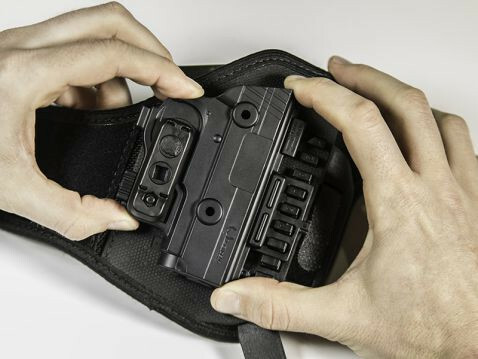 This ankle holster for XD-E pistols gives you more support than traditional ankle holster designs. It wears more comfortably and features a custom-molded retention shell with adjustable passive hold. You can also adjust the ride height. 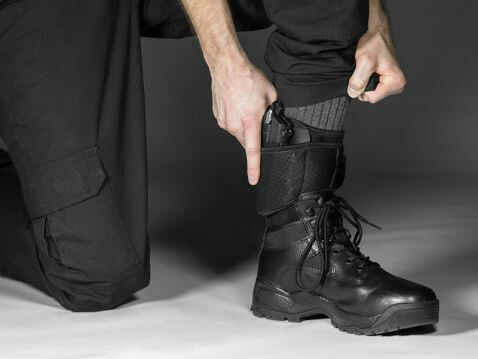 This XD-E ankle holster can be lowered or raised to be worn with up to 6-inch boots outside the shoe. 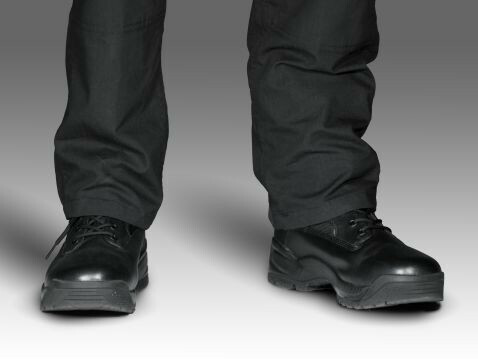 8-inch boots and beyond, however, will require the ankle holster to be located inside the mouth of the boot. Worried you won't like it? You can send it back within 30 days for a full refund. That 30 Day Test Drive trial period is part of Alien Gear Holsters' Iron-Clad Guarantee, which also includes a Forever Warranty on the holster for as long as you have it. This is a shift in what you can expect from an ankle holster.